Roger Carlson is the executive vice president of retail at Monument Realty. 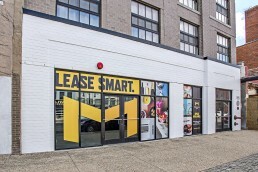 His business can be attributed to retail tenant and landlord representation in the greater Washington/Baltimore region, including the Virginia and Maryland suburbs as well as downtown DC. Representing a diverse mix of clients, Roger specializes in large-scale rollouts and project leasing. Through his focus on exceptional service and his expertise, Roger has built longstanding relationships with many clients such as Panera Bread, Trader Joe’s, Pret A Manger, Maison Kayser, Total Wine, Advance Auto Parts, Outback Steakhouse, Bonefish Grill, Genghis Grill, BJ’s Restaurants, Ruth’s Chris Steakhouse, and Granite City Restaurants. Roger also specializes in project leasing for a number of retail centers and urban properties on behalf of regional and national landlords, including Prudential, Paradigm, Skanska, Charles E. Smith, Regal Cinemas, and Water Street Development. 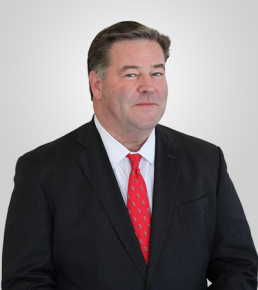 Roger has been active in retail brokerage in the Washington/Baltimore marketplace since 1986. He was a founding member of Madison Retail Group and served as a managing partner. Roger also co-founded First Retail Partners and served as principal. Prior to joining Monument Realty, he was managing director for Colliers International. Roger holds a Bachelor of Science from Hobart College. He is licensed in DC, Maryland, and Virginia and is a member of the International Council of Shopping Centers (ICSC).